Released in June 2017, this is the 2nd edition of the ICAT Best Practices Manual. These best practices were developed collaboratively involving criminal justice, child welfare and community-based anti-violence programs. The overall intent is to increase victim safety in domestic violence cases. 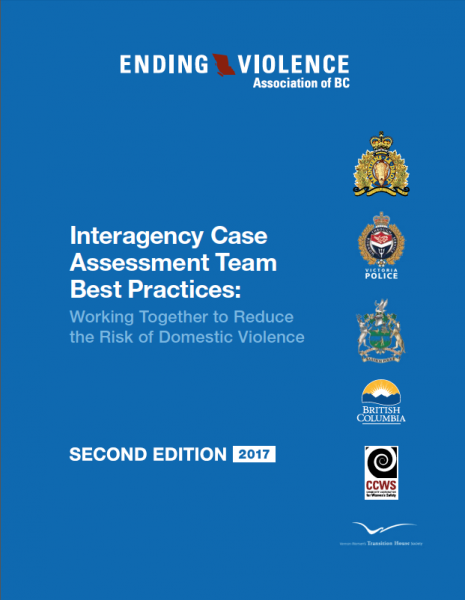 This Best Practices Manual supplements ongoing ICAT training provided by EVA BC’s Community Coordination for Women’s Safety (CCWS) program in collaboration with the RCMP and is meant to be used in conjunction with that training.